A man has been questioned by police after a suspected drugs related death in Wakefield. Paramedics had been called to Newstead Avenue in Fitzwilliam on Sunday afternoon. They found a 43-year-old man inside the property was unresponsive and in need of urgent medical attention. He was taken to Pinderfields Hospital in Wakefield but died. A police spokesman said officers arrested another 43-year-old man on suspicion of supplying Class A drugs. The death is the latest in a series of drugs related fatalities across Yorkshire and the North East, including two last month in Leeds and Normanton. They remain under investigation but are believed to be linked to deadly batches of heroin being sold in the region. Recent enquiries have led police to fear that dealers are deliberately contaminating Class A drugs with substances called Fentanyl and Carfentanyl – both of which are massively more potent than street heroin. Yorkshire and Humber Regional Policing, the National Crime Agency and NHS England last week renewed their warning to drug users about the dangers posed. 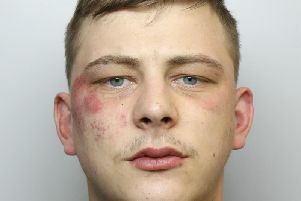 It followed a raid on an illicit drugs laboratory in Morley, which was believed to be linked to the production of the contaminated heroin in circulation.